I just finished putting the finishing touches on the presentation for a webinar I’m hosting on Tuesday of this week, SAMR: Design a Flexible Toolkit for Successful Tech Integration. This free webinar is sponsored by Infinitec and registration is open to all. Assembling the resources has caused me to dig deep into my toolkit to examine ways the tools I frequently go to can be used effectively to align with each level of the SAMR model. I have been evaluating the usefulness of my favorite tools and reflecting. SAMR is a model designed by Dr. Ruben R. Puentedura, Ph.D. that provides a framework for viewing technology integration in the classroom. The model identifies four specific levels of use and a clear point at which technology can be integrated into the classroom to go beyond engagement and transform learning to provide greater educational benefits. 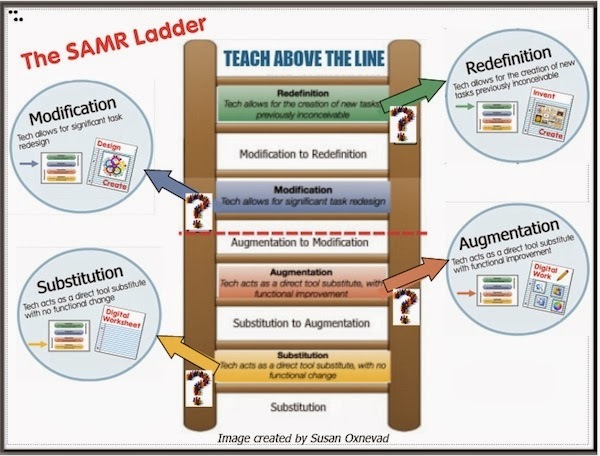 The SAMR model is useful for helping teachers think about their own tech use to begin to make small shifts in the design and implementation of technology driven learning experiences in order to Teach Above the Line and take advantage of higher level learning. Teachers at the Substitution and Augmentation levels use technology to accomplish traditional tasks, but the use of tech doesn’t result in increased student learning. The real learning gains are achieved when technology is used to facilitate learning experiences that could not be accomplished without the tech. At the Modification and Redefinition levels, traditional tasks are transformed, allowing educators to use technology to design learning experiences that were not possible without it. A flexible digital toolkit is essential for helping teachers design learning experiences that reach the Modification and Transformation levels of the SAMR model. As I reflect on my own digital toolkit, I recognize that none of the tools I frequently use are content or task specific, rather they are blank canvasses powered by features I can use to design any type of learning experience I can imagine. The tools in my toolkit allow me to start with the learning goals and higher order thinking skills and make use of the technology to design learning experiences that provide students with opportunities to achieve those goals. My favorite tools are those that support multimedia to provide flexible options for student success by supporting their unique learning styles. These tools are user friendly, allowing teachers to begin to use the most basic features at the Substitution and Augmentation levels and take advantage of more features as they increase their comfort levels and make strides towards Teaching Above the Line. This blog is filled with examples and ideas for using digital tools for learning. My favorite tools are woven into many different learning experiences that are most often at the Modification and Redefinition levels of SAMR. If you are interested in a clear bundle of specific examples to learn how these tools can be used to support teaching at each level of the SAMR model, I invite you to attend the free webinar I am hosting on Tuesday, November 5th, sponsored by Infinitec. Registration is free and open to all! Will this webinar be recorded for later viewing? 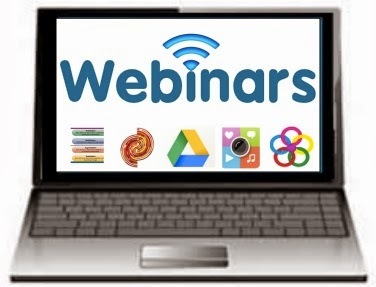 Those of us teachers who are on the West coast may not be able to attend as many of us will still be teaching at the time this webinar is broadcast. Thank you. Hi Rhonda. Thanks for expressing interest in this webinar. I know there are bound to be time conflicts for many educators. I know the plan is usually to record the webinar and make it available on the Infinitec website. When I get more information I will post it here.